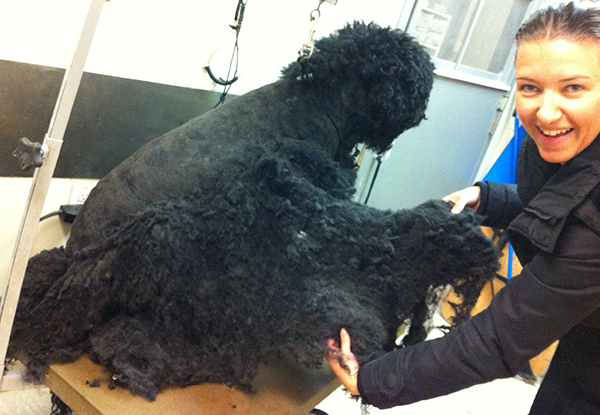 Is Your Dog’s Coat Matted And Needs A Spring Pet Grooming? All of us at Royal York Animal Hospital are so happy that spring has finally sprung and that the snow has finally melted. We experienced a longer, colder and snowier winter this year in Etobicoke and dogs with long or thick coats loved it. I know one of my friend’s dog spent a lot of time digging and rolling in the snow only to become a giant, tangled snowball herself! Lily and I are certainly seeing more matts and tangles left over from the winter and now it is spring the rain and the mud are adding to the mess and the smell. 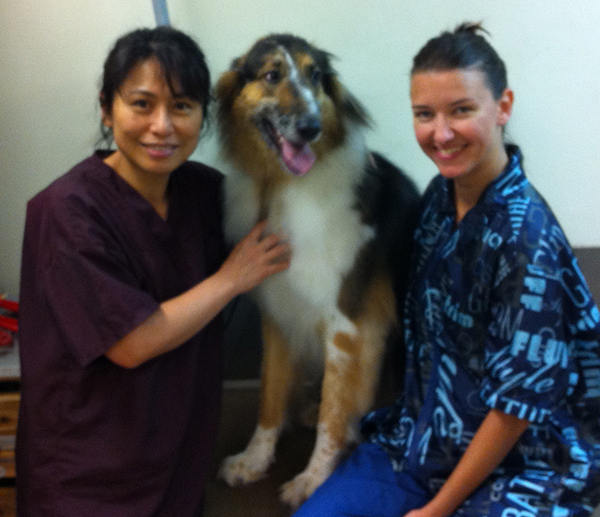 We also see many skin conditions crop up or worsen when your dog’s coat is really matted. It is important to remember that if you just bathe your dog you will make all the matts and tangles worse and more uncomfortable for your dog. Even if you have normally been able to manage your dog’s coat on your own you may be finding that you need a little help this year. We would love to help you out and give both you and your dog a fresh, clean start for the summer! So why not treat your pooch to a s-paaww day to get a nice shave down or a hairstyle provided by myself, Lily or Andrew. 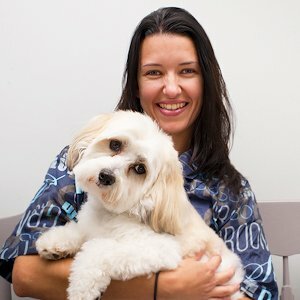 Remember, we provide your pets grooming services in Etobicoke at Royal York Animal Hospital 7 days a week!